Dan McCafferty is one bad mofo on vocals…He has fronted Nazareth for about 40 years now. You can hear his trademark vocals on radio hits such as “Hair of the Dog” and Love Hurts”. Man I remember hanging out in my bedroom listening to that on 8 tracks tapes. It really didn’t get any better than that. But for real Nazareth fans we know that “Naz” is far more than those two songs. What abut “Expect no Mercy”, Hearts grown Cold”, This Flight Tonight”, Shot me Down”, “Telegram”, Their version of the Yard bird’s song “Shapes of Things to Come”, and don’t “Miss Misery”, “Please Don’t Judas Me”, Beggar’s Day”, Rose In The Heather”…Know what I mean? I could go and on. I haven’t even touched their extensive catalog of good music. Did I mention I saw them in Evansville with Thin Lizzy back in 1980? Maybe 1979 but its been awhile…Two great bands! Back in 2013 Dan announced that he was stepping down as the front man to “Naz” due to him developing COPD. That wasn’t the end of Dan. 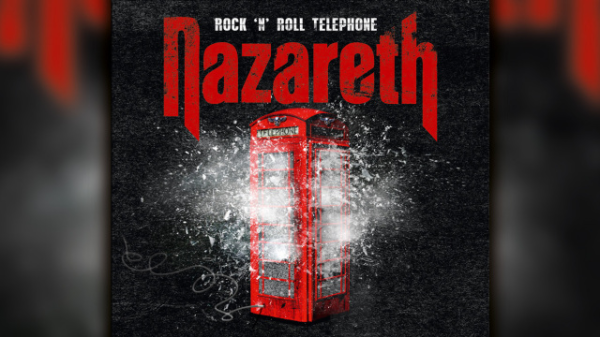 Nazareth recorded their 23rd release “Rock and Roll Telephone” with him. And, (there’s always an “and”)…When Nazareth hired a new singer to front the band the old Boss Dan called the guy to congratulate him before his first show. How freaking cool is that? Nazareth just put up the album for streaming. I have and its great classic Nazareth! Previous Post: Night Ranger new stuff!